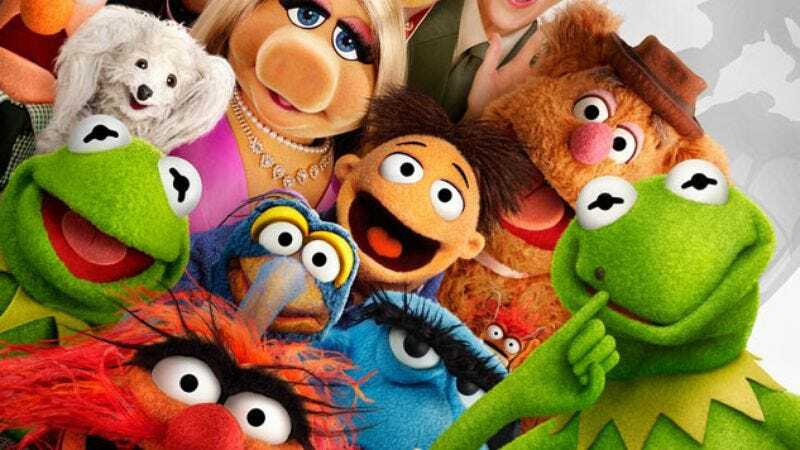 The Jason Segel-produced The Muppets rebooted the franchise nicely by repeating many of the same elements as The Muppet Movie. And, if this first full-length trailer is any indication, Muppets Most Wanted is taking its cues from The Great Muppet Caper—the best of the original Muppet film trilogy, so no pressure. Building on this summer's teaser, it establishes a case of mistaken identity, as a criminal mastermind frog named Constantine escapes from jail and forcibly switches places with his doppelgänger, Kermit. The humble Muppets leader gets stranded in a prison run by Tina Fey while the imposter gallivants around Europe, letting the troupe run wild (Gonzo’s “indoor Running Of The Bulls” in particular looks delightful) while he commits robberies with international tour manager Dominic Badguy (Ricky Gervais). As per usual, celebrity cameos abound—chief among them here a clip of Ty Burrell’s French Interpol agent and CIA agent Sam the Eagle comparing badge sizes. Once again Flight Of The Conchords co-creator James Bobin directs, while Bret McKenzie returns to do the music (though sadly, none of his new songs are heard here). Muppets Most Wanted hits theaters on March 21, 2014.